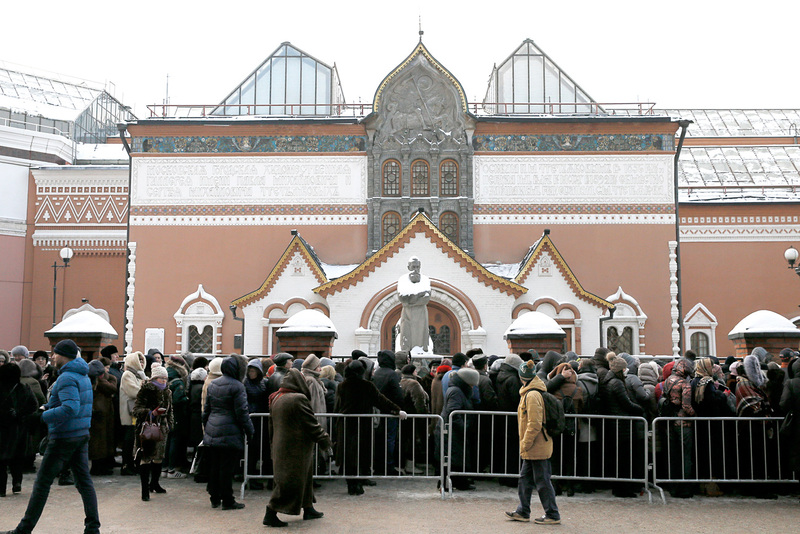 People lined the streets outside the State Tretyakov Gallery in Moscow on Dec. 15. Crowds are lining up at Moscow's Tretyakov gallery to buy tickets in person for a new exhibition of Vatican masterpieces. High demand for online purchases crashed the gallery's website for hours. People lined the streets outside the State Tretyakov Gallery in Moscow on Dec. 15 to buy tickets for an art exhibition entitled "Roma Aeterna: Masterpieces of the Vatican Pinacotheca. Bellini, Raphael, Caravaggio," TASS news agency reports. The gallery's online sales page was down for several hours due to the large number of requests. The situation is under control, and everything possible is being done to accommodate the high demand, a representative of the gallery's press service commented. "The situation has been difficult today as we are starting to sell tickets for the period from Dec. 31 to Jan. 15," she said. "This is because the exhibition is so fantastic, and is attracting enormous interest. We would like to extend our apologies to those who are currently inconvenienced." The Tretyakov Gallery began sales through its ticket offices at 10 a.m. local time. Online sales on the gallery website started at noon, but the page quickly crashed due to the high number of requests. Tickets for the exhibition need to be purchased in advance, are personalized and non-transferable. The exhibition includes paintings by Caravaggio, Raphael, Giovanni Bellini, Guercino, Pietro Perugino, and Guido Reni. These masterpieces are very rarely displayed outside the Vatican. The Tretyakov Gallery exhibition is among the most significant European fine arts events of the year. The gallery will respond in kind next year by exhibiting in the Vatican Evangelical- and Biblical-themed paintings by Russian artists of the 19th and early 20th centuries. Roma Aeterna will be on display until Feb. 19, 2017.